Noventum finished creating new page designs for KDAlive.com a travel and beyond website and blog by entrepreneurial and global client, Kurt. 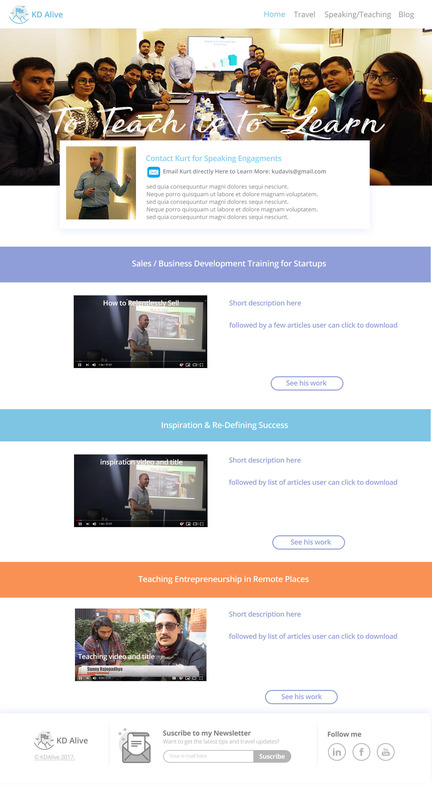 Above is a new design for the “Learn” page of the website. A developer then translated over the PSD design file to the wordpress site. Noventum designed header banners with cursive type for various pages and helps keep a consistent design aesthetic going throughout the site.